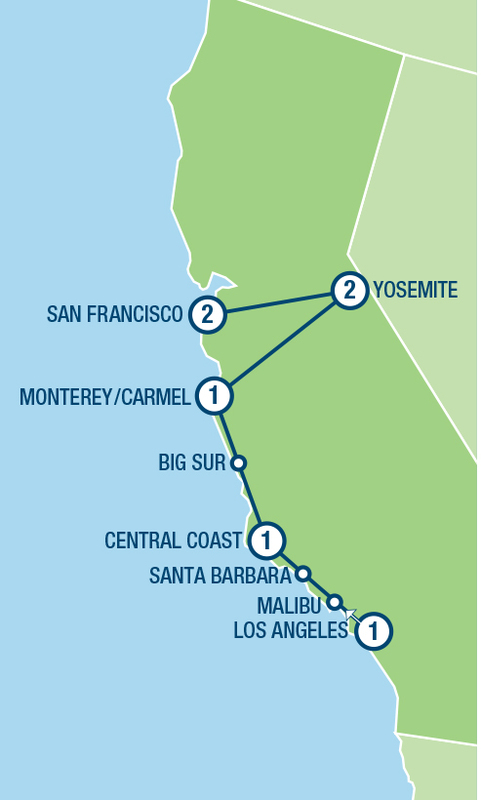 Explore the stunning California Coastline during this 8-day driving adventure. Begin your journey in the City of Angels, and gradually make your way up the coastline travelling along world famous Pacific Coast Highway. Spend a couple of nights at magnificent Yosemite National Park before ending your journey in San Francisco. Your itinerary includes standard 3 star accommodation, welcome kit with maps, driving instructions and suggested stops and sights. Rental Car price is based on two adults renting a Compact Alamo car for collections 1 Nov – 14 Dec 19 & 1 Jan – 31 Mar 20.